Ceilings the World Looks up to! Clad your walls with ENDURING BEAUTY! The Strongest Drywall Systems for Internal & External Walls! Clad your walls with ENDURING BEAUTY!!! 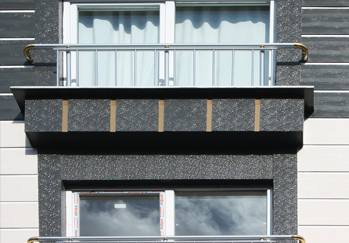 Everest Cladding Solutions provides aesthetics to your walls by application of Fibre Cement Boards over brick, block or concrete walls. It gives a damp-proof surface with improved thermal and sound insulation of the area. It is suitable for all internal and external wall applications either new construction or refurbishment of old structures. At Everest, we understand how you need different ceilings for different spaces. That is why Everest has introduced various options to cater to your diverse needs. Do you need an uncomplicated yet elegant ceiling solution for your office? Or are you looking for a sturdier system for your hotel driveway that can withstand wind loads? Or perhaps you desire a more aesthetic ceiling choice for your showroom? Everest has solution to all of it. From simple plain choices to designer variants to Grid Systems, Everest Ceiling Solutions is the ideal answer to all that you need and desire from your ceiling and the perfect complement to your space!